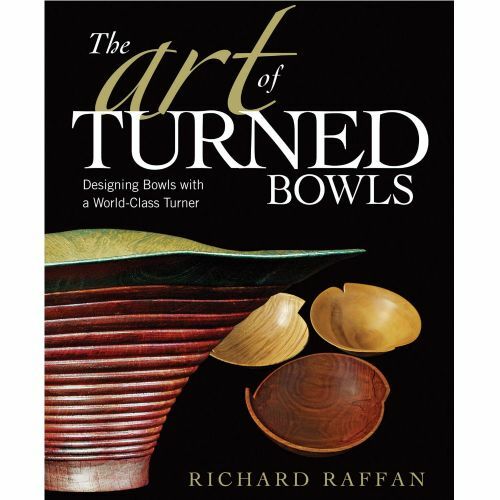 This beautiful volume from Richard Raffan is dedicated to the art of creating aesthetic forms in your turned bowls. 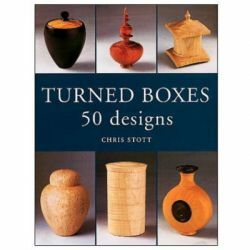 More about design than about technique, the book displays a wide range of bowls -- by a host of experienced turners -- with analysis that will help you create more artful bowls with a sense of balance and proportion. 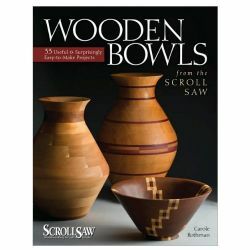 As you flip through the pages, you'll discover how the subtle form and shape of a well-turned bowl is one that's also a delight to hold and use. 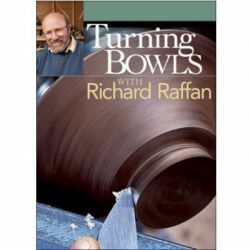 Richard Raffan is a internationally respected woodturning artisan and teacher. 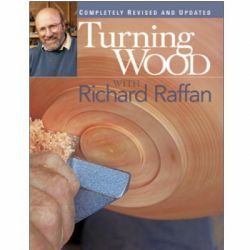 Collectors prize Raffan's gallery-quality production pieces, and he is the author of Turning Wood, Turning Boxes, and The Complete Illustrated Guide to Turning. Raffan lives in Holder, Australia. My dictionaries define a bowl generally as a nearly hemispherical vessel, whose width is greater than its height, used to contain liquids or foods. 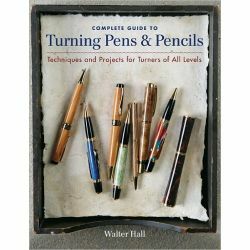 This implies forms that are open rather than enclosed, so, for this book, I've broadened my terms of reference to include enclosed forms that are similarly wider than their height, but with a rim diameter as small as one third the diameter of the bowl. 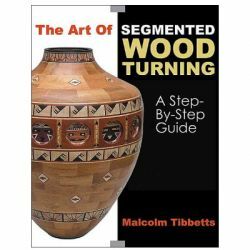 It is clear, browsing woodturning Web sites and exhibitions, that bowls continue to be a favorite project for turners of all skill levels, still outnumbering hollow forms and vessels as well as spindle work. I believe this is because an open bowl is an ideal form for displaying spectacular grain and because bowl turners like making shavings. It is easy to create a bowl that, by virtue of its rich color and/ or wild grain patterns or thinness, will draw gasps of admiration. Any beginner can achieve this within an hour or two, given a flashy bit of wood, a range of abrasives, and some finish to gloss-up the wood and bring out the color. What is not so easy is creating a bowl that feels nicely balanced in your hands when you pick it up, and that would still look good if painted black. The bright colors of freshly cut and finished wood soon begin to fade and mellow, ending up dark or golden brown. Consequently, it pays to attend to the form and the tactile qualities of a bowl because, eventually, that's all you've got. Despite the obvious care and attention that has gone into creating most of the bowls I see in craft shows and galleries, the majority remain somewhat cumbersome, even clunky, to the eye as well as the hand, even when turned thin. So often it's a case of so near yet so far, when a small adjustment to the profile or inner curve would have yielded an infinitely better form. 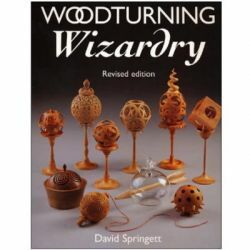 Having said that, it is a fact that most of the bowls I look at now are light-years ahead of what was on show at woodturning symposiums in the early 1980s when the few good bowls stood out from a morass that were mediocre to bad. Then, critiques comparing good, bad, and downright ugly versions of the same basic shape, often from the same turner, were a key symposium activity that set people thinking about design. Constructive comments helped turners become more aware of what goes into creating a well-proportioned bowl and what constitutes a flowing curve or a good finish. The turned bowls we see today are the result of those sessions. 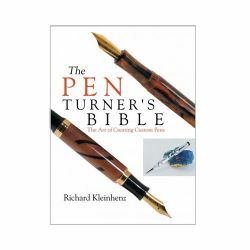 Concurrently, improved chucks and techniques and a considerable amount of supporting literature, videos, DVDs, and now the Internet, have enabled turners to implement their designs with greater confidence, allowing them to concentrate more on what they are turning, rather than how. Often we find it difficult to quantify why one bowl seems better than another, and the main purpose of this book is to provide points for consideration. Is it the difference between a curve that flows and one that doesn't? Or is it the visual impact of the size of a base? It helps to compare similar or nearly identical bowls, identifying exactly why one looks and feels better than another. When assessing bowls with groups of students, I like to select three that are similar, preferably by the same person (to eliminate bruised egos). It is immaterial how good or bad the bowls are. All I need is to pick one as a benchmark; then I can point out all the negative features of the lesser of the three, and why one is better than the other. I take the view that there is always room for improvement in everything, even though that might be barely perceptible. If you are serious about creating better bowls, turn a number of similar bowls using bland wood, then select the best and use that as the model for another set. Every now and again, cut a few in half to ascertain more thoroughly where the differences lie, and what makes the ones you prefer better than the others. If a bowl is to survive, it has to be of a quality that will encourage its current owner to keep it safe. The form has to be good. In general, ill-conceived objects do not survive generations except as curios, whereas anything well designed stands a better chance. Many medieval bowls handed down to us are patched or sewn together; you don't bother doing that unless the object is special. There would have been plenty of less attractive but equally functional bowls available to replace those damaged. The critiques of the mid-1980s were so successful that by 1990 it was difficult to find a bad bowl at an event like the annual Utah Symposium Instant Gallery. However, in recent years, after making a few dozen bowls, turners are often keen to 'move beyond the round and brown,' without having created a really satisfactory bowl. The pressure is on to enhance and embellish bowls. So now we have a lot of round and brown bowls with paint, feathers, beads, burn marks, and just about anything that can be attached to wood or penetrate it. Often carving distorts the form so much that any association with a lathe all but vanishes. Much of this is work striving to be Art with a capital A, but being different doesn't automatically qualify something as art. Your bowl might be unique, being stained with the blood of virgin roosters (for depth of color) and adorned with the milk teeth of Pomeranian dwarves set in a frieze of 24-carat gold. It might be extremely well made of expensive materials, and although of hideous design, might still appeal to those impressed by novelty, kitsch, or extravagance. It may make your work collectible, but being different is rarely a passport to good design. No matter what you do to a bowl by way of embellishment, the basic form will always manifest itself through the frippery.